A number of us from the Boulder and Kirkland Google offices recently attended the Autism Society of America's 2008 National Conference in Orlando, Florida. What a great experience! On the first day of the conference, we gave a presentation about Project Spectrum (program that introduces people on the autism spectrum to Google SketchUp) to the ASA Chapter Presidents. 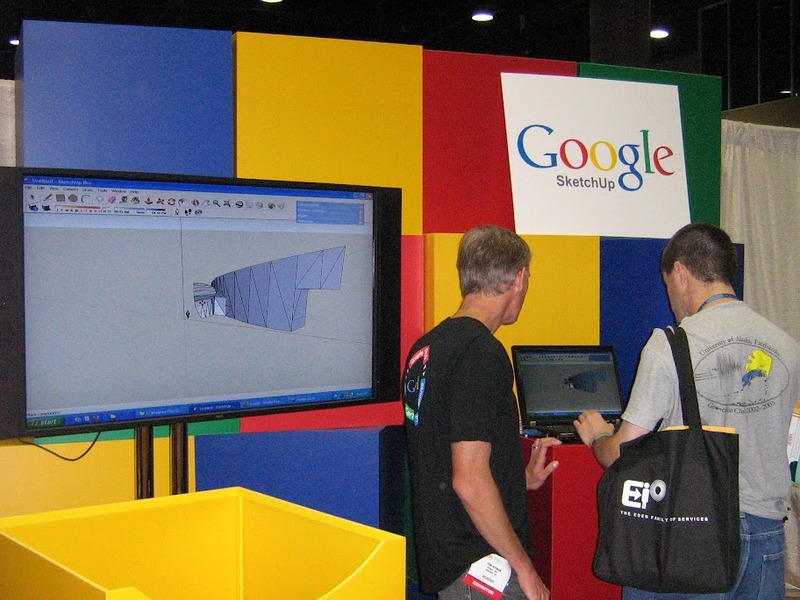 The rest of our time was spent in the exhibit hall introducing SketchUp to the conference attendees, including parents, educators and people with autism. 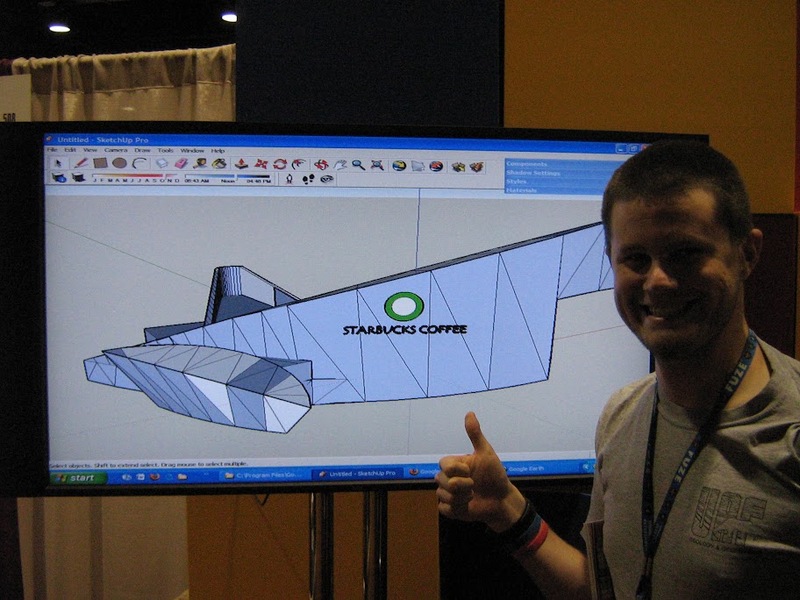 One attendee, Cole, created a java-fied remodel of the University of Alaska Museum of the North. I think he's still waiting to hear whether or not it was approved! Our fellow Coloradan, Temple Grandin, delivered the keynote speech. Temple touched on two themes we think are at the core of Project Spectrum: taking advantage of special gifts, like visual and spatial skills, and using those gifts to develop a life skill or career. A special thanks goes out to our vendors, Sparks and Eagle Management, for building our Project Spectrum booth and providing set-up and tear-down services at no charge. It's wonderful to see others excited by our program, and it helped to make this a great event. Great to hear about SketchUp working with autistic kids. Keep up the good work. Has anyone thought to combine sketchup with an augmented reality software such as mr planet 2.0? this would be a powerful tool given the proper interface.